Not since Sidney Crosby's rookie season have the Pittsburgh Penguins found themselves in the position that they are in. Back then, however the Penguins were not expected to do well. They were in the midst of a financial crisis, had missed the playoffs for three consecutive seasons (plus the lockout canceled season), and were on the brink of moving to Kansas City. So... at least none of that is happening now. Still, the sting of being on the brink of missing the playoffs for the first time since the 2005-2006 season won't hurt any less. This raises the question... what the ! @#$ happened? I trade draft picks faster than you can say "buyers remorse"
The search for a new GM was narrowed down to Pierre McGuire (seriously), interim GM Jason Botterill, assistant Tampa Bay GM Julien BriseBois, and former Carolina GM Jim Rutherford. For reasons passing understanding, the Penguins hired Jim Rutherford on June 6, 2014. The same Jim Rutherford whose Carolina teams hadn't made the playoffs since 2009. The same Jim Rutherford who gave big money to Alex Semin and Cam Ward, The same Jim Rutherford who left the Carolina farm system in shambles. Yep, not a Rutherford fan then, and certainly not now. On the same day the Rutherford was hired, Dan "no longer Disco but my job was in Limbo" Bylsma was fired. This was the most puzzling off-season move for me. 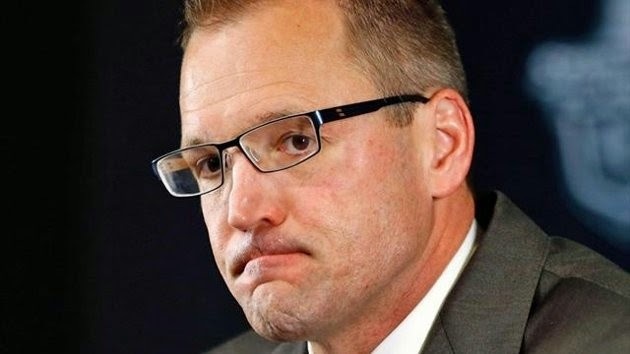 It was no big secret that Bylsma was going to be fired, and by not firing him for almost a month after the season ended, the Penguins limited Bylsma's chances at landing another job in the NHL. It almost seemed like the Penguins front office was controlling Dan's fate of spite for some reason. I have nothing to base that on, it was just that strange of a situation and one that said maybe the Penguins didn't grasp the gravity of the direction that they were heading. 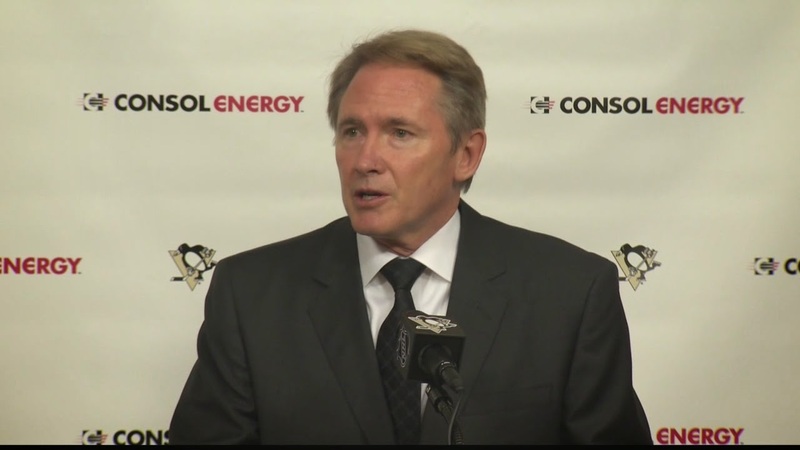 With Dan Bylsma finally shown the door, the Penguins turned their lonely eyes to Mike Johnston on June 25, 2014. A journeyman coach, Johnston had spent the previous six seasons with the WHL Portland Winterhawks and had no previous NHL head coaching experience. This is exactly what the Penguins needed to focus the talents of two generational talents in Crosby and Malkin in order to lead them back to the promised land (end sarcasm). To me, this hiring screamed of "Hopefully this guy is ok until we can make a run at Mike Babcock in Detroit." 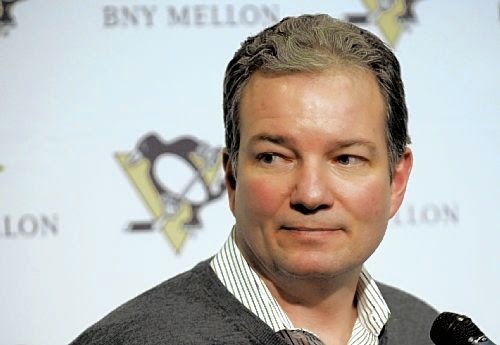 In order to attempt to solidify depth at forward which Ray Shero had neglected to do in thinking that the D next a players name meant that they could play a wing, Rutherford traded fan favorite, and Evgeni Malkin's spirit animal, James Neal to the Nashville Predators for Patric Hornqvist and Nick Spaling. I really liked this move. While I recognize that Neal is an offensive talent, his on-ice antics had worn thin with me. This move brought in a player in Hornqvist that I really liked, especially his ability to play in front of the net, and a depth forward in Spaling. It also provided some cap relief that Pens needed (and still do... 5 defencemen agian). The Penguins may have gotten the better end of this trade, as Hornqvist has provided 25 goals and 25 assists while Neal has 23 goals an 14 assists. Add in Nick Spaling's 9 goals and 17 assists and advantage in scoring clearly goes to the Penguins. I was surprised at this when I looked up the stats as I thought Neal was having the better season, his new team certainly is. What is not apparent, however, is the effect on Evgeni Malkin who is once again going through linemates faster than I go through a box of Girl Scout cookies. Malkin, in 7 more games playedthis year than last, is 2 points off his last season point total of 72 and is only a +1 on the year compared to +10 in 2013-2014. Yay! I am so excited to go back to the penalty box! 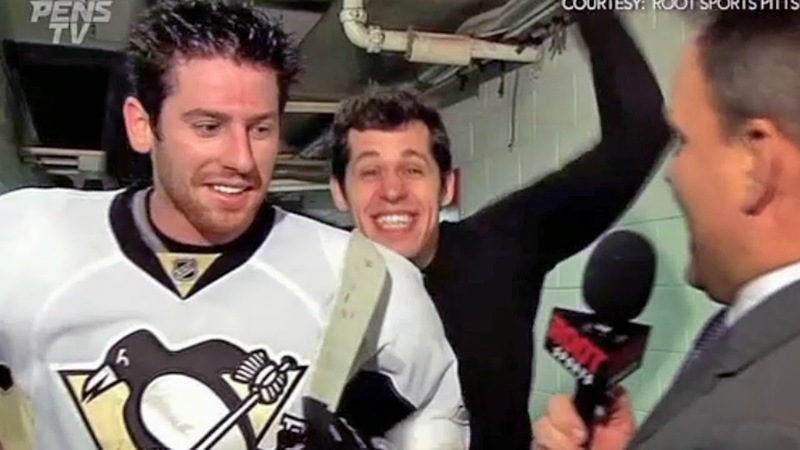 So if James Neal was partially sent packing because of his tendency to do stupid things on the ice, the next logical progression is to bring in Steve Downie. After the back of Sidney Crosby's head was used as a speed bag by the Rangers in the playoffs last season, the Penguins needed to bring in someone to protect their stars since the league wasn't going to do it by calling obvious penalties. That player was supposed to be Steve Downie. A known "pest", Downie actually possesses some offensive talent and had his best seasons in Tampa Bay with Rick Tocchet, who was also added to the Penguins coaching staff during the last off season. Here's the problem though- if you are constantly in the penalty box, then you aren't going to be helping anybody. 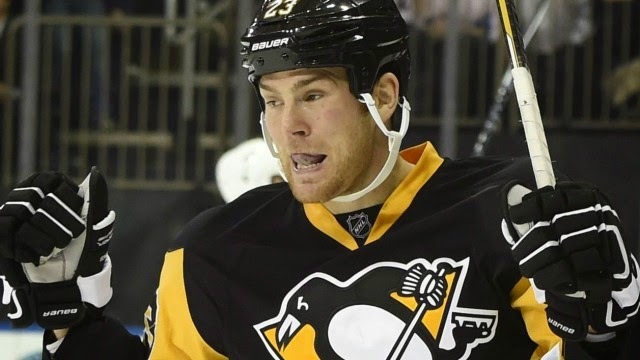 Steve Downie, in 70 games, has amassed a mind boggling 236 penalty minutes, almost 50 more than second place. He also leads the league in minor penalties assessed. As a team, the Penguins are the most penalized team in the NHL and Downie is a huge part of it. Things have gotten so bad for Downie, that he has regularly become a healthy scratch and will be even more of a liability if the Penguins do make the playoffs. Since power plays are at a premium in the playoffs, a player like Downie is a hinderence since he has a target on his back. Officials area going to call penalties on him for sneezing violently given his reputation. 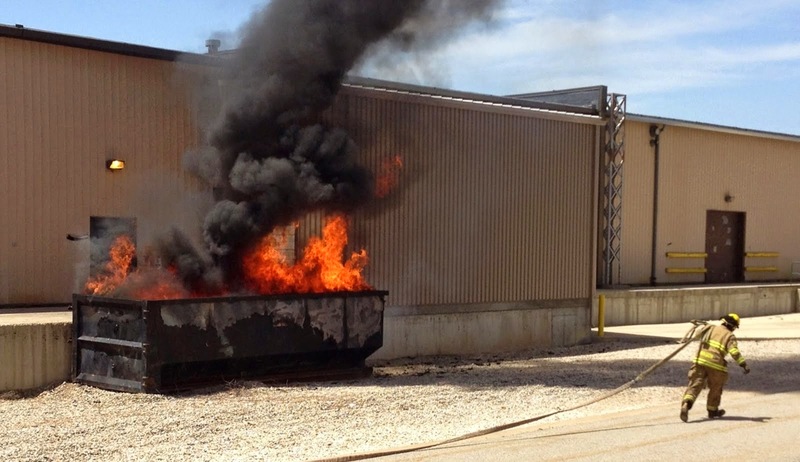 Rumors out of the Penguins front office are that they are fed up with Downie. Thankfully he only has a one year deal. Penalties and team discipline are a huge reason that the Penguins are on the brink of missing the post season. Despite the somewhat tumultuous off-season, the Penguins began the year by playing exciting hockey and visions of Lord Stanley were dancing in my head. Things were going so well, I wrote an article about how the Penguins could break the power play record (in my defense, it was early in the year and there wasn't much to write about yet). Things started to change on November 21 when it was revealed that Pascal Dupuis would miss at least six months with a life threatening blood clot in his lung. This news came on the heels of Olli Maata having thyroid cancer and people began to wonder if Consol Energy Center was built on top of an indian burial ground. 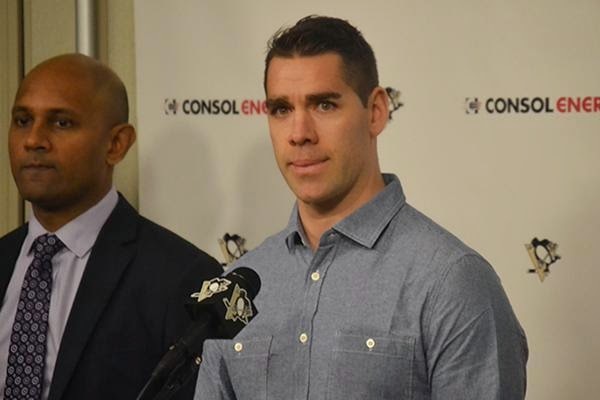 The loss of Duper was devastating to the locker room. While he has never been the most prolific of scorers, he has been an emotional leader since arriving via trade from Atlanta. I know of not a single person, even outside of Penguins circles, that has a bad thing to say about the type of person Dupuis is. His loss is one of those immeasurable occurrences that can help to derail a season. 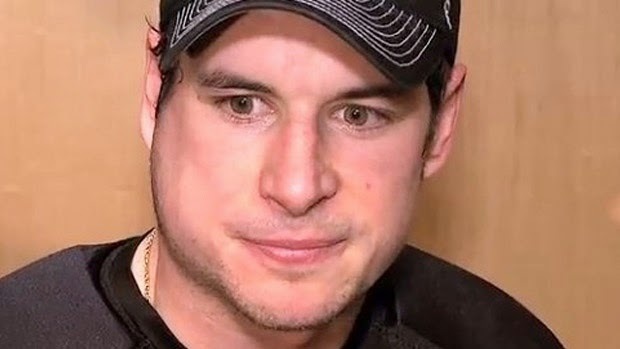 As if the Penguins hadn't had to deal with enough strange injuries/ailments, in December, they were hit with an outbreak of the mumps. It started with Sidney Crosby, but the end of the outbreak, Beau Bennett, Olli Maata, Thomas Greiss, and Steve Downie would all come down with the disease. This left the team scrambling for healthy bodies to play and the team went on a four game losing streak at the end of December. 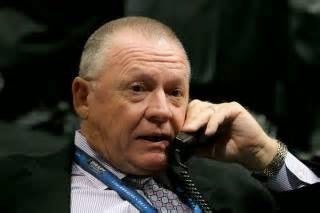 Since becoming the GM, Jim Rutherford has made 6 trades. Of those 6, the best one (at least of the in-season trades) seems to be for David Perron. I say seems to be, because the Penguins 1st round pick in 2015 was sent to Edmonton in that trade. If the Penguins miss the playoffs, then this pick could (odds are very low) end up being the lottery winner for Connor McDavid. The way things have been going for the Penguins lately, I kind of expect this to happen. If it does, then that short lady from the Poltergeist movies (she's from Pittsburgh after all) better be on speed dial in order to lift the curse off of Consol Energy Center. The strangest trade was the trade of Simon Despres for former Penguin Ben Lovejoy. While I believe that Lovejoy is an upgrade over the younger Despres, at least for this season, given the age of Despres, it seems like the Pens could have gotten more and it makes you wonder if the coaching staff and front office had given up on Despres. Most of the trades looked good on paper, but most of the players in return haven't really done all that much to stand out (Maxim Lapierre, Daniel Winnik, Ian Cole). Don't expect Lapierre, Winnik, or Cole back next season since their contracts are up at the end of the year. A trade that never happened because of injuries this season was the impending trade of Paul Martin. At the beginning of the year, it was a virtual lock that Martin would be moved by the deadline given his expiring contract. However, with injuries to Olli Maata, Christian Ehrhoff (another off-season move that didn't work out), and Kris Letang, Martin has become vitally important to the Penguins blue line. Now I expect Martin to re-sign with Pittsburgh while Ehrhoff will leave via free agency. SO... WHAT THE ! @#$ HAPPENED HERE? 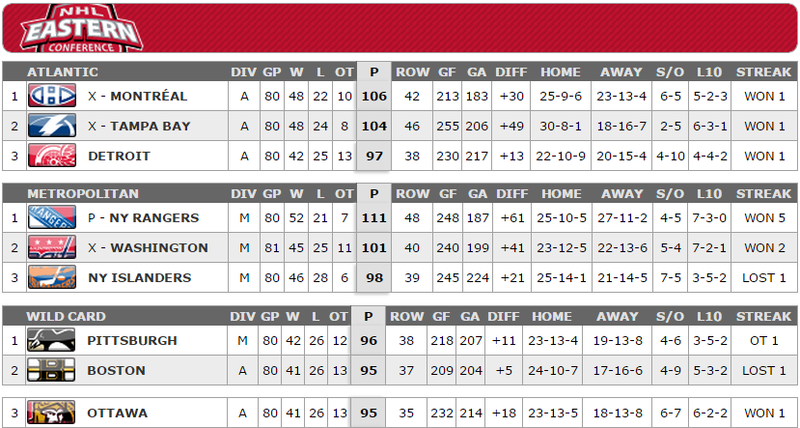 A lot had to go wrong for the Penguins to end up where they are when they have 87 and 71 in their lineup. Unfortunately, those things went wrong. It all began last spring with the questionable hiring of Jim Rutherford and the handling of the firing of Dan Bylsma. It was then followed by the hiring of a head coach with no NHL experience to take on two superstars in the primes of their careers. The roster moves in order to improve the depth didn't improve it enough once the fluke disease and injury snowball began. A lack of team discipline has them playing shorthanded more than any other team in the NHL. I also failed to mention that their are reports that the league is fed up with the Penguins complaining to officials about the lack of calls going their way, contributing to the number of penalties that are called against Pittsburgh. Finally, a lack of team leaders outside of 87 and 71 has found the Penguins unable to come back when down or close out games consistently this season - they have been part of WAY too many OT and shootout games. There have been bright spots, Fleury was playing at a Vezina caliber level for most of the year and Letang was a Norris trophy candidate (and still may be?) before his latest injury battle with concussions. What's most important, after all, is that with two games remaining, and with everything that I've gone over, the Penguins are currently in the playoffs and control their own destiny to get in. It just goes to show you how lucky we as Pens fans have been since 2007 that this is the first uh oh season in some time... and they still will probably wind up getting in the playoffs. What they do if they get in is anybody's guess.